YHA is set to open a new 86-bed youth hostel at Hadrian’s Wall this summer and bookings are now being taken for the 2017/2018 academic year. Located close to the Sycamore Gap and the Roman site at Vindolanda, YHA The Sill will be able to be used as a base from which to explore Hadrian’s Wall, particularly for Key Stage 2 classes studying the History topic: the Roman Empire and its impact on Britain. The site will also be able to be used as a base for classes exploring the wider Northumberland National Park and the surrounding Areas of Outstanding Natural Beauty. It will feature 26 bedrooms, 19 of which will be en suite and two which will be fully accessible. Private rooms for teachers will also be available. The youth hostel has also been designed with large communal spaces, drying rooms and outdoor spaces for outdoor learning, music and theatre. There will also be a restaurant, as well as a fully-equipped self-catering kitchen. 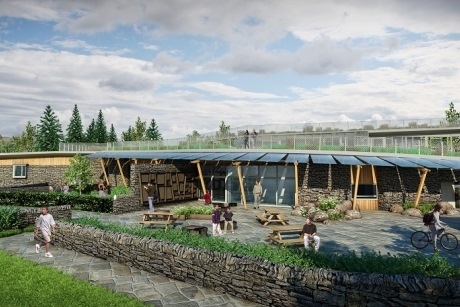 YHA The Sill will form part of a Northumberland National Park Authority project called The Sill: National Landscape Discovery Centre, which, when complete, will provide an all-weather facility with retail facilities, a café, restaurant, as well as the YHA accommodation. The design of the youth hostel and The Sill: National Landscape Discovery Centre is said to have been inspired by The Great Whin Sill, a hard ridge of craggy rocks along Hadrian’s Wall. One of the main features of the building, which aims to complement and reflect the landscape surrounding it, is an accessible grassland roof with a viewing platform. For more information or to make a booking visit https://groups.yha.org.uk. Education and adventure provider, Inspiring Learning, has invested in a new outdoor centre to increase the number of children it can provide for. Darren Davies, educational tours specialist from tour operator Travel Places, tells us his top tips for the initial booking process of an educational tour. The result of a £1.5 million refurbishment has been unveiled at YHA Swanage in the South West, improving facilities for school groups including disabled access.